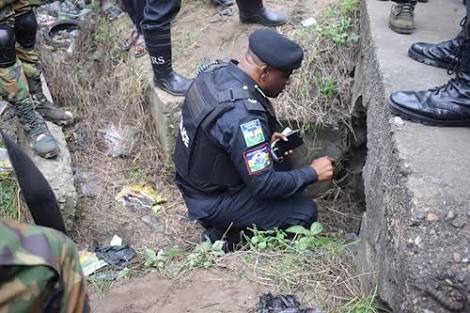 The Assistant Inspector General (AIG) of Police in-charge of Zone II, Lawal Shehu, yesterday declared war on herbalists and human part dealers in Lagos and Ogun states. The action followed a spate of ritual killings and exhumation of bodies at graveyards and other places, for ritual. Lamenting the involvement of young people in ritual activities, Shehu said each time the suspects were apprehended, they usually claimed they were herbalists, adding that some native doctors were aiding and abetting the practice. “If they are herbalists what are they doing with human parts? These ones we arrested on December 3, about 8:30pm, were found with human skull. “We received information that Jimoh Adeola of Muslim Cemetery, Oke Yadi, Abeokuta, Ogun State was in possession of human parts and has been dealing in such for a long time. “Detectives of the Zonal Intervention Squad (ZIS) were detailed to investigate. Five suspects were arrested and exhibits recovered. Others nabbed are Lukmon Bayewunmi, Kabir Badmus, Victor Nnacheta and Nurudeen Sogaolu. “Dried human jaw and scalp were recovered from them. They will be arraigned soon. “This is a warning to criminals and those aiding them. Whether they are ritualists, militants or robbers, we have been instructed to drive them out of this zone. We are in collaboration with the Lagos and Ogun police commands as well as vigilance groups. Nnacheta, 20, said he paid a native doctor N250,000 to perform ritual for him so that he would become a billionaire. Badmus, an Islamic cleric also contacted by Nnacheta for money ritual, said he knew him through one Gabriel, adding that the young man told him he was into football betting and wanted to become a billionaire. “I got the skull for N50,000 from a mortuary attendant. He brought them to me. It was the mortuary attendant’s wife who called me that brought Alfa to his house. Within two hours, police arrived my house and arrested me.